Lexington Electronic Recycling offers e-Waste recycling to help protect the environment. e-Waste consists of electronic devices and gadgets nearing or at the end of their useful life. It covers discarded obsolete electronic devices, cell phones, laptops and more. There’s no need to stockpile your old electronics when Lexington Electronic Recycling will recycle them. Additionally, we offer hard drive shredding that prevents theft of your business or personal information. Eliminate old electronics with e-waste recycling at Lexington Electronic Recycling. There are thousands of electronic devices today that have made our lives easier and more convenient, even more enjoyable, but care must be taken when disposing of these items that have outlived their usefulness. e-Waste is extremely toxic and the effects on humans are devastating. 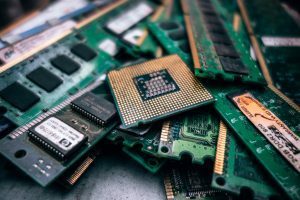 Electronic waste isn’t just waste, it contains some toxic substances, such as mercury, lead, cadmium, arsenic, beryllium and brominated flame retardants. All electronics contain toxic materials that can be harmful to people and the planet. 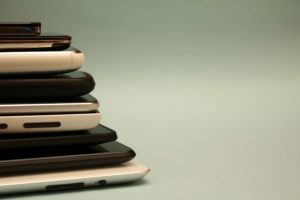 Some electronics, like smart phones and laptop computers, contain heavy metals including cadmium, beryllium, hexavalent chromium or arsenic which have shown to build up in our bodies and the environment. The wires and cables that run through all this stuff are often coated with PVC, which contains toxic additives like phthalates. Whether you’re a corporate, small business, government or residential client, it’s almost impossible to expect you to know all the ins and outs of electronic recycling, when you have more important goals to worry about. • 40 to 50 million tons of e-waste are generated worldwide, each year. • Over 65% of consumers stockpile unwanted devices in homes. • 5% of all municipal solid waste are compiled of obsolete electronic goods. • Only approximately 12% of e-waste is recycled. • e-Waste comprises 70% of overall toxic waste. • 85% of e-waste sent to landfills and incinerators is mostly burned, releasing harmful toxins in the air. Are you able to inventory equipment for our Company? Most certainly! 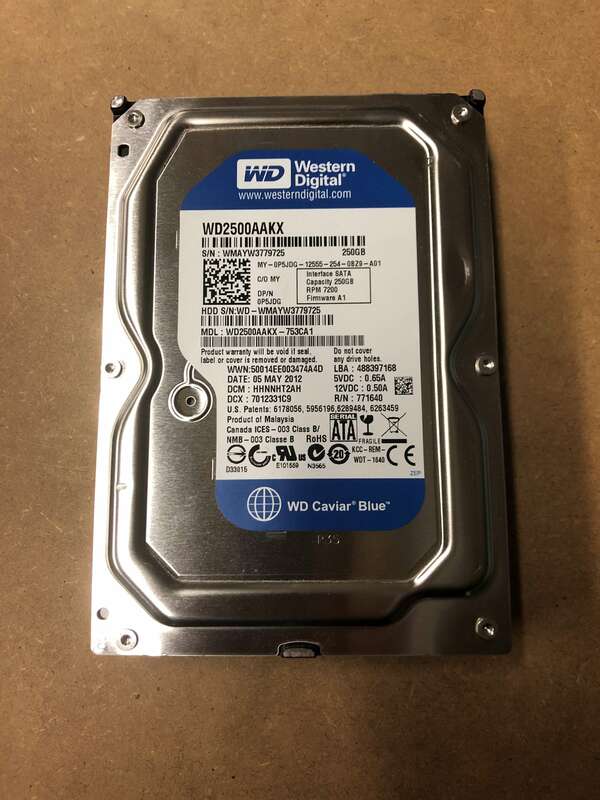 We scan each unit’s unique serial number and are capable of matching each unit’s number with the corresponding Hard Drive serial number. At the end of this process we provide an official Certificate of Destruction to you, ensuring compliance. What happens to Hard Drives and data? How can you ensure our data is completely erased? After scanning and matching the Hard Drive serial numbers with the corresponding unit’s serial number, we securely destroy each drive. The Drives are fed through our shredder and come out into many small pieces with no possibility of recovery. Check out the BEFORE & AFTER here. Can I witness my Hard Drives being destroyed? OF COURSE! Please feel free to come to our facility and monitor the progress or we can also stream the destruction process strait to your PC or Smart TV. I would like to Recycle my equipment Are all of my Hard Drives destroyed and not reused? We securely destroy ALL HARD DRIVES and recycle the shredded remains. What if we needed destruction of the drives to ensure the data is secure? We securely destroy ALL HARD DRIVES! Do you offer mobile hard drive shredding for bulk hard drive destruction? Yes, we offer mobile shredding services for 250 or more hard drives, tapes, and other media. Please contact us for a quote on this service. What happens to my equipment? AND What do you do with equipment that is no longer usable? All equipment is dismantled into it recyclable parts and sent to be processed for future use. We recycle old tech much like a soda can, reusing the components to make new items. Our aim is to keep electronic equipment out of landfills and be as environmentally conscious as possible. Do you recycle other equipment other than computers? YES, we recycle just about anything that plugs into the wall or has batteries. From your bedside alarm clock to the industrial machinery, we can handle it. We are also capable of handling hospital and laboratory equipment. Do you Take TV’s and monitors? Yes, but only flat panel types. Where are you able to pick up equipment? We have the ability to send a team to any location in the United States. We also partner with local stores in the greater Lexington area to offer free drop off of your old tech for customers with just a few items. Please see our affiliates page. Do you ever charge a fee for recycling? We charge a fee for pickup and for Inventoried Hard Drive Destruction. However, we also partner with local computer service stores in the greater Lexington area to offer free drop off of your old tech if you do not desire the inventory services. How much lead time do you need to schedule a pickup? Depending on the location we can be in most areas in 1-3 business days. Is there a minimum pick-up quantity? No, our fee is based on mileage and time. How do I arrange a pick-up? Either by calling (859) 279-2931 or clicking the Quote link on our website. Where is the best place for me to store my equipment until it can be picked up? Inside away from the elements and as near to your door or loading dock as you can. Our aim is to make your life easier and interrupt your business as little as possible. Do you just deal with businesses? No, we work with both commercial and residential recycling no matter the quantity. We partner with local stores in the greater Lexington area to offer free drop off of your old tech for those that do not require special data security services. 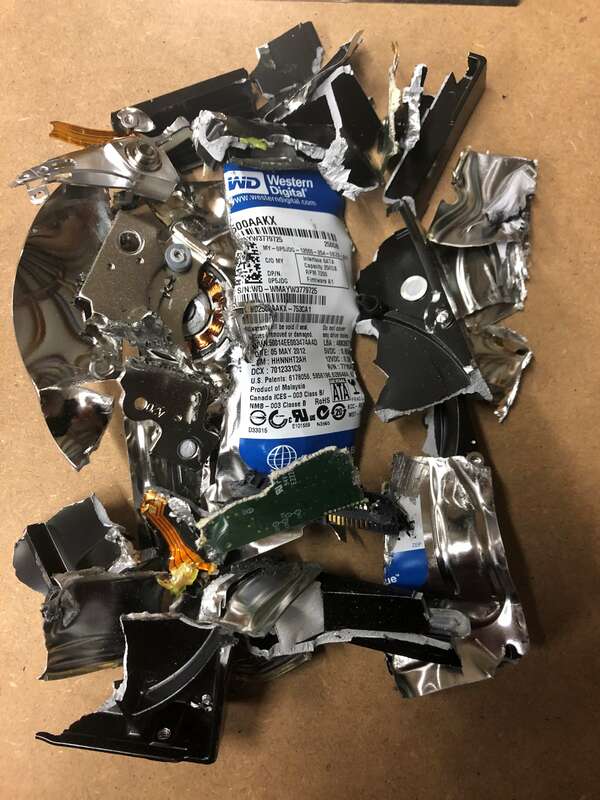 Check out a sample of a hard drive BEFORE & AFTER destruction. Do you need proof of the destruction of your recycled material? Lexington Electronic Recycling offers a “Certificate of Destruction” upon request to meet the needs of our clients. We will provide the proper documentation to help your facility or organization meet its policies. At Lexington Electronic Recycling, we take a great amount of pride in our expertise and operational efficiency, which empowers us to meet your needs and exceed your expectations. Ensuring the highest level of security in the destruction of your potentially sensitive assets. Assures the business their assets do not end up in landfills or in the hands of anyone else. Many businesses use a Certificate of Destruction to help them remain in compliance or achieve special recycling accolades. 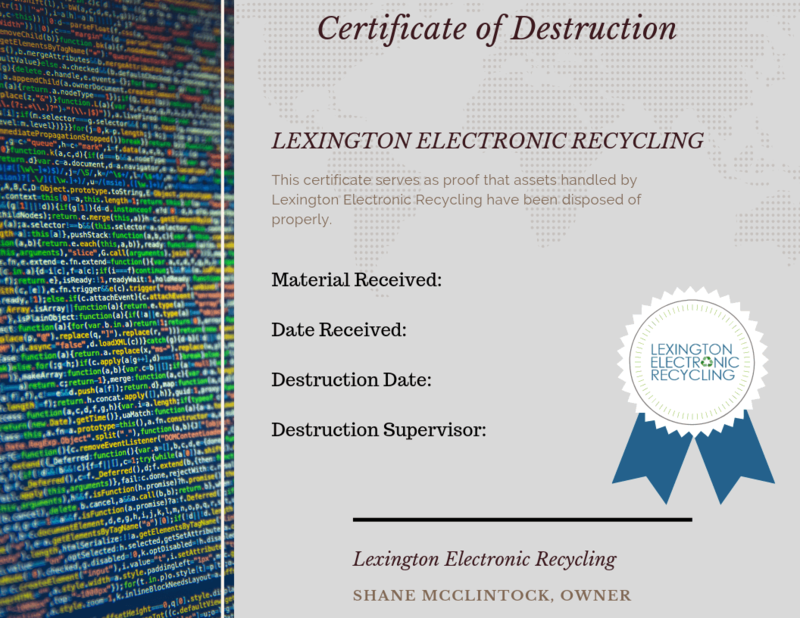 Regardless of why you need a Certificate of Destruction, Lexington Electronic Recycling offers a flexible and customizable service to help your business achieve its goals.